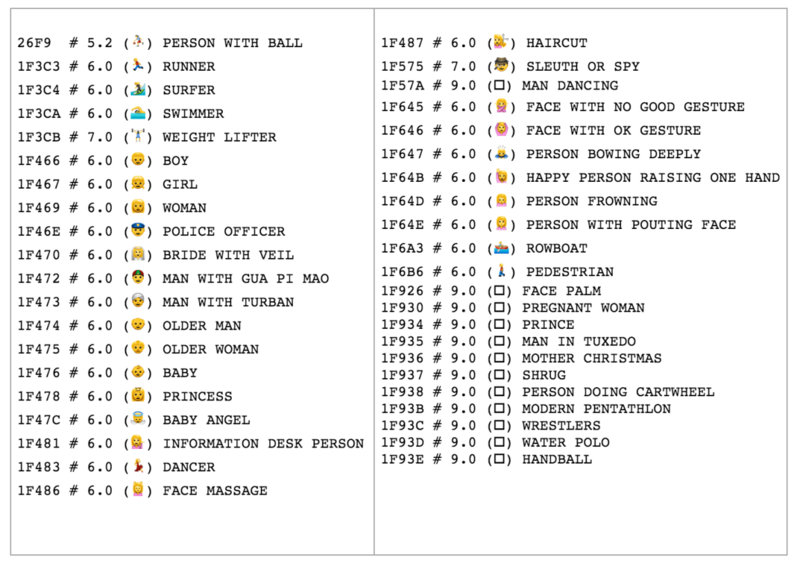 A proposed change to the Unicode standard this week plans to introduce emoji customization, so that you’re able to change the hair color or gender of an emoji. UTS 52 is a change that would allow for major emoji customization for the first time — and it’s now going through the process to become a reality. Don’t miss our biggest TNW Conference yet! Join us May 26 & 27 in Amsterdam. 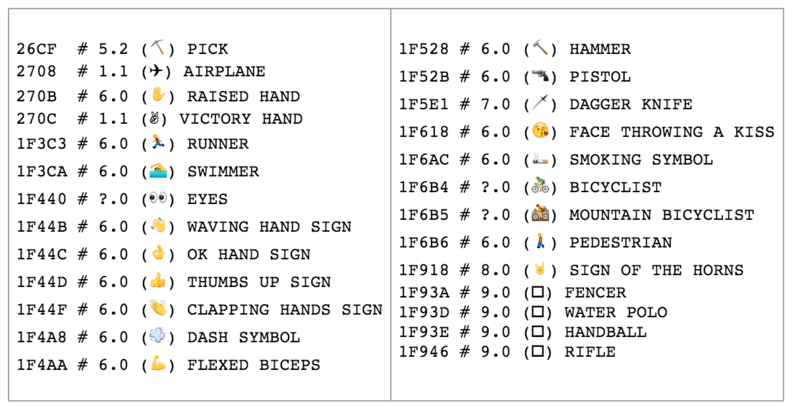 The proposal points out a number of scenarios, such as editing flags to represent their local regions (for example to show Scotland or California), gender, hair colors and the direction of emoji. In particular the gender and hair color changes are significant, which will allow any generic emoji to be customized. You could, for example, change the dancer emoji to a male with red hair. 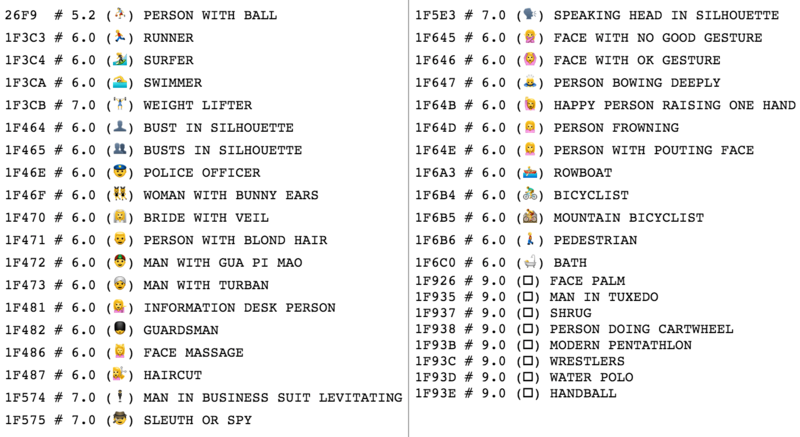 For changing the direction of emoji, the draft suggests that it may be useful to help tell stories. One example given is changing the direction of the dagger emoji to indicate who stabbed who in Game of Thrones. The update is only in proposal phase and the Unicode Consortium is looking for feedback from emoji implementers, such as Apple and Google, on how complicated it will be to build the change. A separate draft proposal also plans to introduce a change that would allow emoji to appear as black and white. These changes tend to take months to go through the process, though feedback is required to be finalized by May 1 in advance of the committee meeting to discuss making it final in Q2 2016 — so we might see the new options as soon as the end of the year. The proposal was submitted by Mark Davis at Google and Peter Edberg at Apple, who have been behind previous emoji standards, so you can be sure that the companies are already looking at this seriously.